Graham Cox (Secondary AC officer) passed on the following resource. A site that allows you to connect your students to the community. 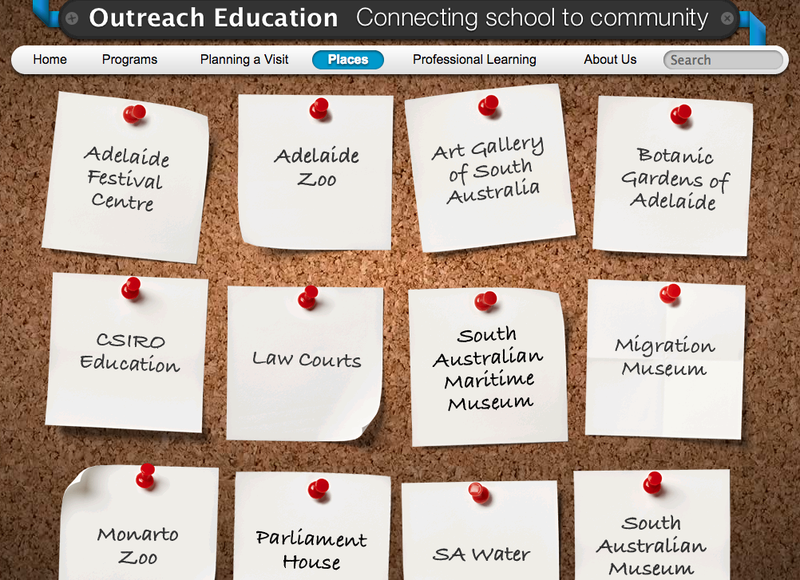 Take your students outside the school, go on an excursion, broaden your students understanding of topics by using this site to plan a trip to Adelaide. “Outreach Education is a team of Department for Education and Child Development specialist teachers based in a number of public organisations. 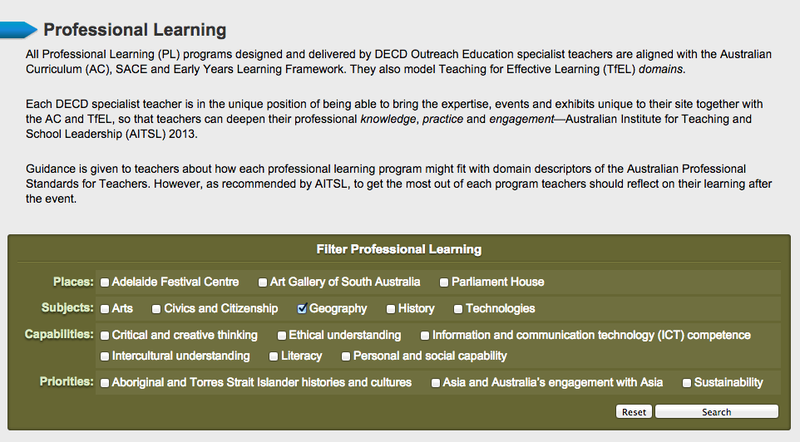 All programs provided by this initiative are run by DECD specialist teachers who can assist classroom teachers on how their program fits with the Australian Curriculum and TfEL. This entry was posted in Curriculum, Pedagogy, Resources and tagged Australian Curriculum, DECD, Outreach Education, pedagogy, resources. This looks like a great resource Nick. Maybe you could ask him, in order to keep money in regional areas of South Australia (surely as important?) have they developed a similar resource going the other way i.e. for metropolitan schools going regional????? ?